On March 3, 2010, the Priestly Fraternity of St. Peter dedicated its new chapel at Our Lady of Guadalupe Seminary in Denton, Nebraska. The chapel was consecrated by Bishop Fabian Bruskewitz, local ordinary of the Diocese of Lincoln. Five other bishops and abbots, and Fr. John Berg, Superior General of the Fraternity, were present at the dedication and at the Solemn Pontifical Mass following at which William Cardinal Levada, Prefect of the Congregation for the Doctrine of the Faith, preached. The chapel was designed in a simplified yet dignified Romanesque style by architect Thomas Gordon Smith, current professor (and former director of) the Notre Dame Architecture School. At 10,000 square feet, the chapel has stalls for 92 priests and seminarians in the nave, with separated seating for laity and visitors. 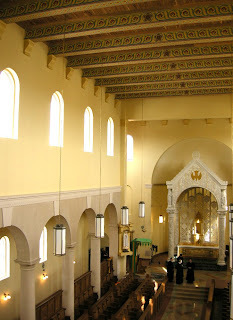 The Fraternity is dedicated to the renewal of the Traditional Latin Mass, also known as the Tridentine Rite, and the chapel is designed for the exclusive celebration of this Rite. Featuring a 31 foot tall marble baldachino over the altar and classical columns and detailing, the chapel represents a growing rebirth of classical architecture in the Church. The Chi Rho may well be one of the most recognized of Christian symbols, and it represents Christ himself. This simple symbol is made up of a superimposed "X" (chi) and a "P" (rho), the first two letters of Christ's name in Greek. 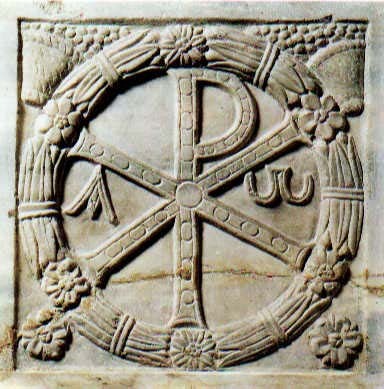 Used from the earliest days of Christianity on lamps, liturgical objects, sarcophagi, and in catacomb painting, and still in wide use today, the Chi Rho is linked to the conversion of the Roman empire in the fourth century. In 312 AD, on the eve of his battle against Maxentius at the Milvian Bridge, Constantine received a vision of this very sign blazing in the sky accompanied by a voice which assured him, "In this sign you will conquer." Constantine had this symbol put on his imperial standard and was, in fact, victorious. While there are certainly many other symbols that represent the Resurrection, none embodies it as completely as this symbol of Christ himself. Our Lord told Saint Martha, "I AM the Resurrection and the life." Christ is the guarantor of the Christian hope in the resurrection of the body and life everlasting. As was promised to Constantine, it is in the name of Christ that we achieve victory. May we live confident in the Victor, the Risen Christ, this Easter season and always. 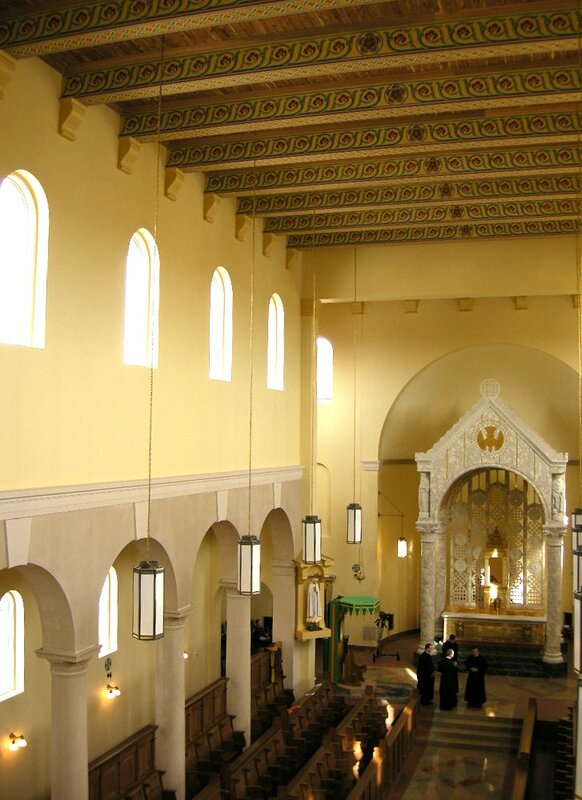 While many are inclined to think of a church building as a merely neutral setting for liturgical rites, Dr. Denis R. McNamara, author of Catholic Church Architecture and the Spirit of the Liturgy, will introduce the concept of "architectural theology" to the study of church design. 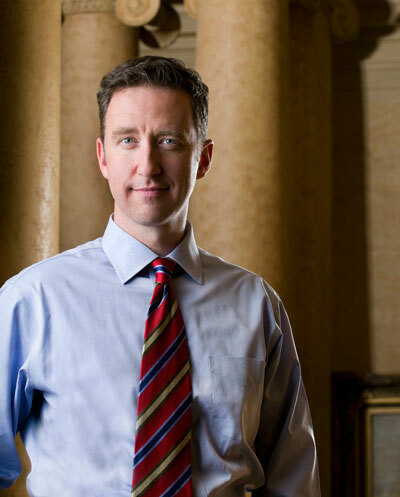 His research reveals that liturgical art and architecture can play an active role in a worshipper's full and conscious participation in the liturgy by embodying the notions of fulfilled typologies of the Old Testament as well as the anticipated glory of Heaven. Join us Saturday, May 1st at 7:30pm at St. Thomas a Becket Parish in Reston, VA and learn how the classical tradition can be inculturated to blend with scriptural precedent to make church buildings which please the eye, engage with tradition, aid in liturgical participation, and delight the soul. For more information, please click here. The Foundation for Sacred Arts is pleased to announce our first Seminarian Arts Formation Conference, to be held on The Feast of the Guardian Angels on Saturday, October 2, 2010. We trust that this conference will reinforce the "profound connection between beauty and the liturgy" and compel seminarians to be "attentive to every work of art placed at the service of the celebration" since "everything related to the Eucharist should be marked by beauty." (Pope Benedict XVI, Sacramentum Caritatis, 41, 2007). We also expect that this vital arts formation will reach up to 175 seminarians from at least eight Catholic seminaries local to Washington, D.C. According to Russell Shaw, respected Catholic author and journalist, and former communications director for the US Bishops, "...when many of these men are priests, they will be called upon to make...important decisions about the building, renovation, and decoration of churches. Beauty is not just an add-on in worship. Beauty has its source in God, it points to and leads to God, and the beauty of our places of worship is crucial in fostering worship itself. I offer thanks and congratulations to the Foundation for Sacred Arts for this important and creative initiative." More information can be found on our website. May you have a Blessed Triduum and Easter.